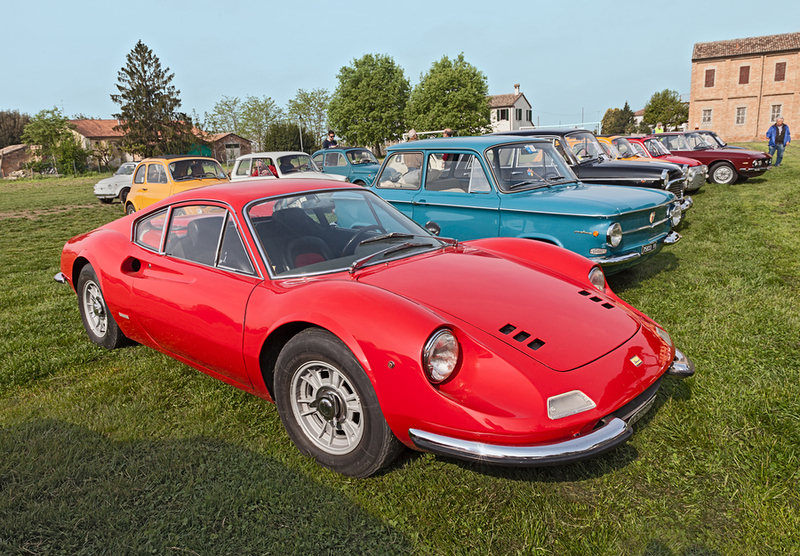 The 1969 Ferrari Dino 206 GT is a classic supercar that is simply perfect for all types of events. Lauded for its breath-taking driving qualities and design, the care is found in sixth place on Sports Car International’s Top Sports Cars of the 1970s. Why not hire one of our cars for classic car shows or for corporate events, it is bound to impress! From one day to a Ferrari hire that lasts more than a week, we work hard to cater to the needs and requirements of every single client looking to hire a Ferrari Dino 206 GT Replica. Whether you’re making an important business conference, or heading to the country for the weekend, we like to go the extra mile and even offer a delivery and pickup service at the rate of £1.50 +VAT per mile outside of central London. Although all of our Ferrari hire cars come pre-loaded with mileage, for those that wish to travel a little further afield, they can pre-book additional miles with a discount of 25%. If you’re interested in hiring a fabulous Ferrari Dino 206 GT Replica, check out our enquiry form.